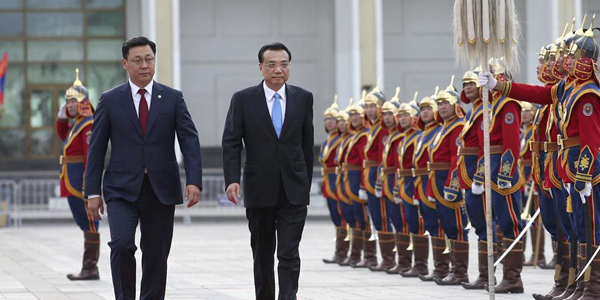 Chinese Premier Li Keqiang is paying an official visit to Mongolia from July 13 to 14. At the invitation of Mongolian President Tsakhiagiin Elbegdorj, Li will also attend the 11th Asia-Europe Meeting (ASEM) summit in Mongolian capital Ulan Bator from July 15 to 16. 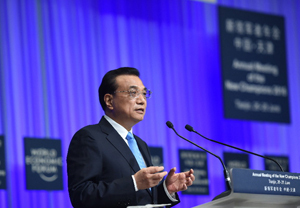 Chinese Premier Li Keqiang has called on all member nations at the Asia-Europe Meeting -- or ASEM -- to work together to promote dialogue and build a more prosperous and peaceful Eurasia. Chinese Premier Li Keqiang has announced the South China Sea arbitration award will have no impact on China's territorial sovereignty and maritime rights and interests. He added that Japan should stop interfering in the South China Sea issue. The 11th Asia-Europe Meeting, also known as ASEM, has closed today (Saturday) in Ulan Bator, the capital city of Mongolia. 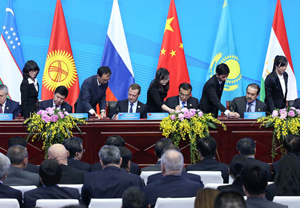 The summit is held to promote "partnership for the future through connectivity". 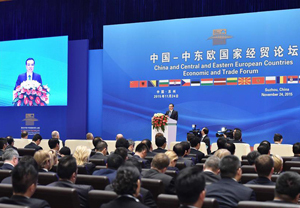 The 11th Asia-Europe Meeting is underway in Mongolia's capital, Ulan Bator. The meeting began earlier today with a moment of silence for those killed in the terrorist attack in Nice, France. Premier Li Keqiang has called on Japan to stop hyping up and interfering in the South China Sea issue. 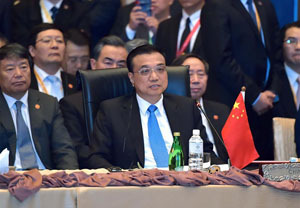 Chinese Premier Li Keqiang has delivered speech at the Asia-Europe Meeting summit in the Mongolian capital Ulaanbaatar. For more analysis on today's summit and the truck attack in France, we are joined by Professor Wang Yiwei from school of international studies at Renmin University. Q1. Let's talk about the Nice attack first. France is regarded as a multi-cultural society, but as we have seen during the past few years, it has become a frequent target of terrorist attack. Why is that so? Chinese President Xi Jinping has extended his condolences to his French counterpart François Hollande, over the attack in Nice. Xi said China stands against all kinds of terrorism and wishes to cooperate with France to safeguard world peace. 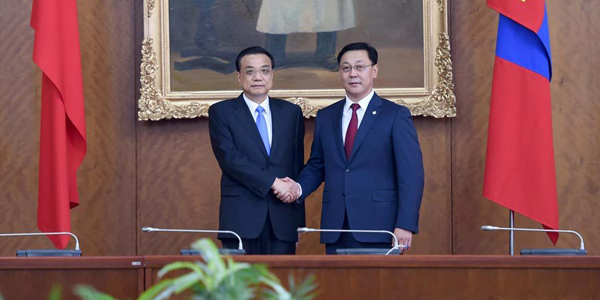 China's premier Li Keqiang has said China is willing to strengthen cooperation with Mongolia and forge closer ties during his visit to the country. China and Mongolia agreed to speed up the alignment of their development strategies and boost bilateral practical cooperation in major fields for better accomplishment of mutual benefits and win-win results, visiting Chinese Premier Li Keqiang said during a visit to Ulan Bator Thursday. Chinese Premier Li Keqiang is in Mongolia for a two-day visit, and to attend the 11th Asia-Europe Meeting Summit in the capital, Ulan Bator. 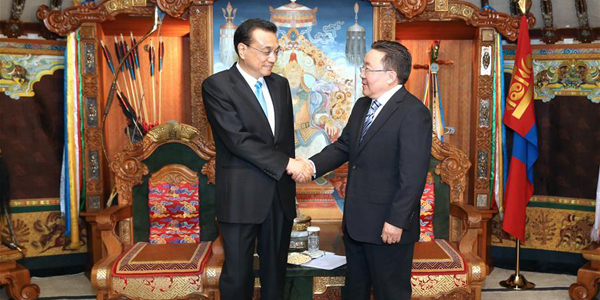 A welcome ceremony was held in which Li was received by Mongolia’s new prime minister, Jargaltulga Erdenebat. 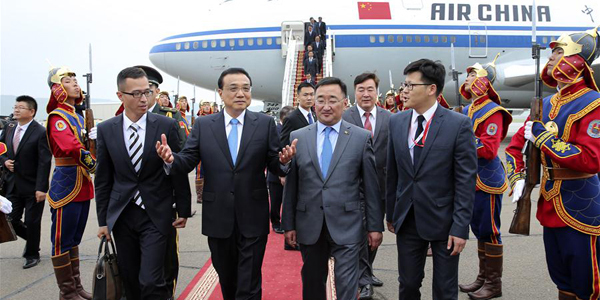 Chinese Premier Li Keqiang has arrived in Ulanbator, the capital of Mongolia, for an official visit. 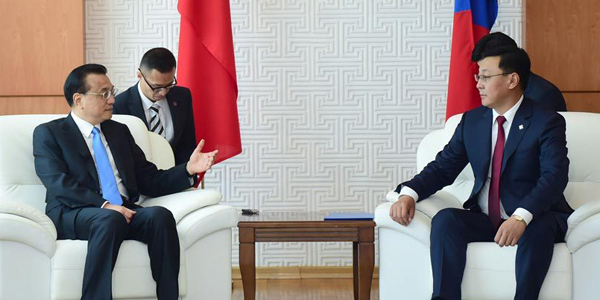 He is also set to attend the 11th Asia-Europe Meeting. Chinese Premier Li Keqiang on Saturday called on the European Union to fulfill its obligation to drop the Surrogate Country approach used in its anti-dumping measures against Chinese exports. China seeks for more balanced trade with the Netherlands by encouraging more investment into the Netherlands and importing more quality products from the European country, Chinese Premier Li Keqiang said here Saturday. The performance of the Chinese economy in the first half of the year was steady and in line with expectations, and China is confident of achieving its main full-year development targets, Chinese Premier Li Keqiang said here on Friday. Chinese Premier Li Keqiang on Thursday called on Vietnam to value the hard-won momentum in the development of bilateral relations and jointly safeguard peace and stability in the South China Sea with China. China is willing to strengthen cooperation with Mongolia in all respects and forge closer ties between the two neighbors, Chinese Premier Li Keqiang said Thursday.